Lucano was created in the back shop of the Vena biscuit bakery by Cavalier Pasquale Vena in 1894 in the picturesque village of Pisticci in Basilicata, Italy. Amaro Lucano is a unique and extraordinary liqueur that is still chosen today as the perfect accompaniment to special moments during the day. Over the years, other liqueurs have been added to the product line including Sambuca Lucano in order to satisfy all tastes. Today, as the brand celebrates its 120th Anniversary, their secret recipes remain unchanged and only trusted family members, the 4th generation, participate in the final stages of production to ensure its continuity and confidentiality. Lucano's iconic Italian marketing campaign, "What more could you want from life? LUCANO!" has been instrumental in propelling Lucano to one of the most recognized spirits brands in Italy. The quality, versatility, and commitment to tradition have created a worldwide platform for Lucano to be the best in its class. 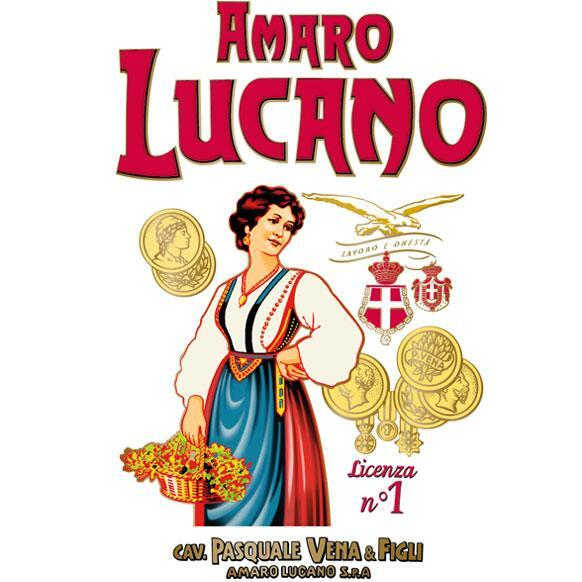 "Amaro Lucano was created in 1894 from a secret recipe that has been handed down from generation to generation in the Vena family. Thanks to the skilful blend of more than 30 herbs it has a decisive taste that is perfect for all occasions. It can be enjoyed neat, chilled, with ice or orange zest.